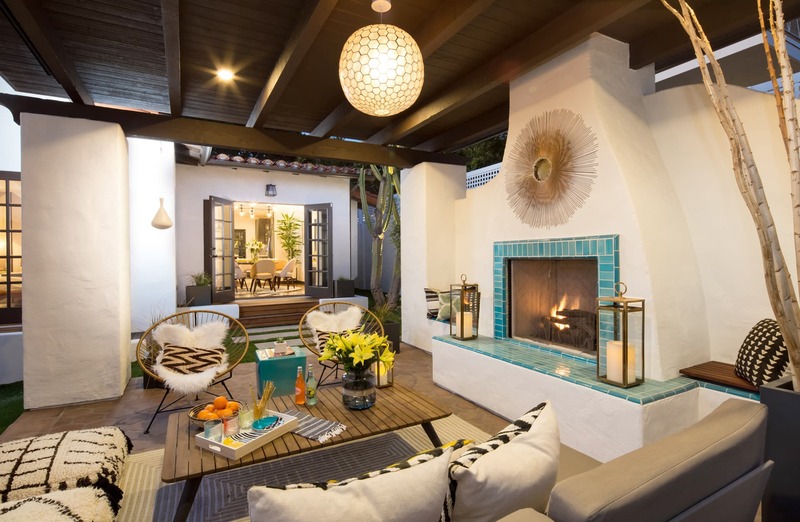 In the coastal community of San Clemente lives Avenida Barcelona, a historic Spanish bungalow obsessed with reinvention. 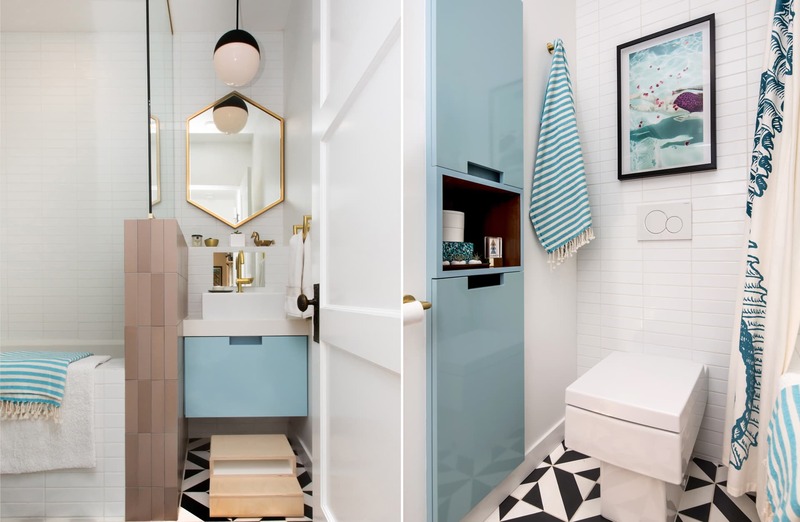 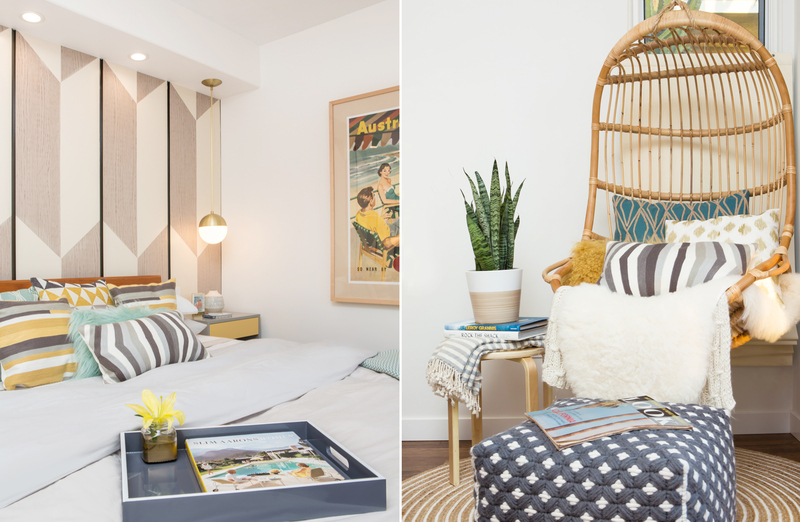 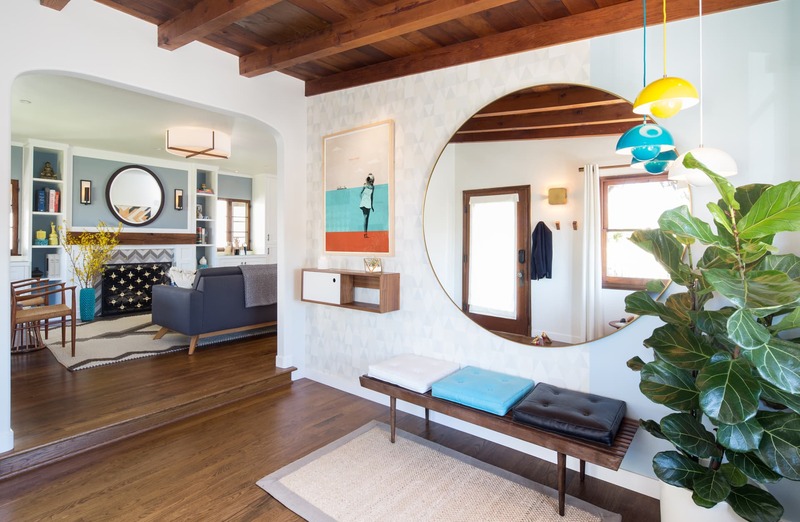 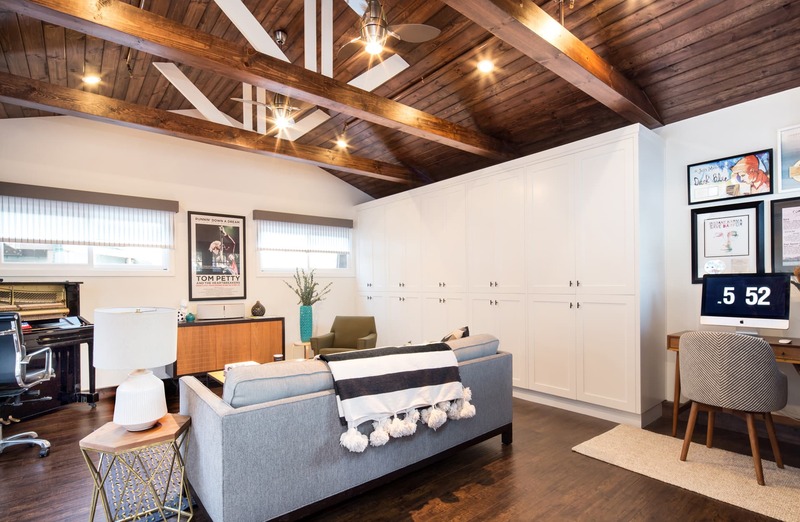 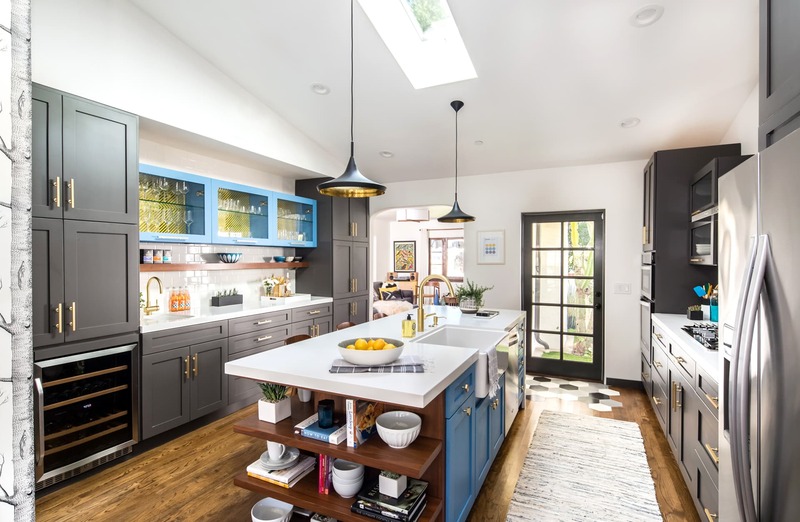 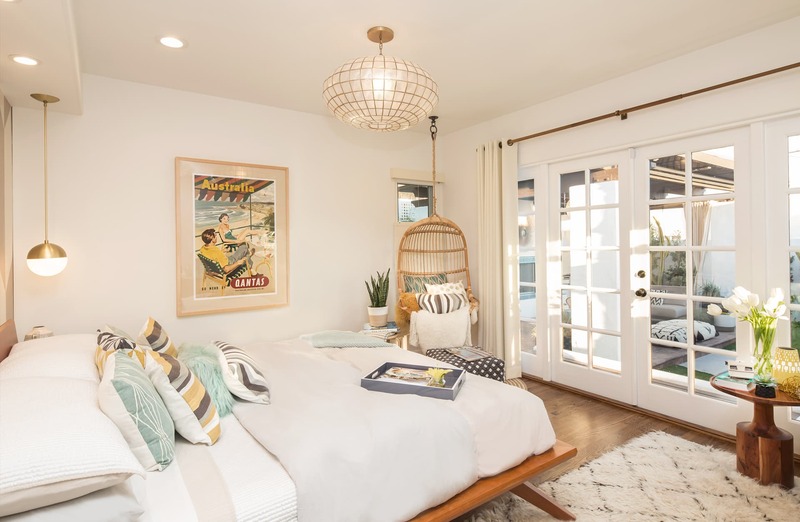 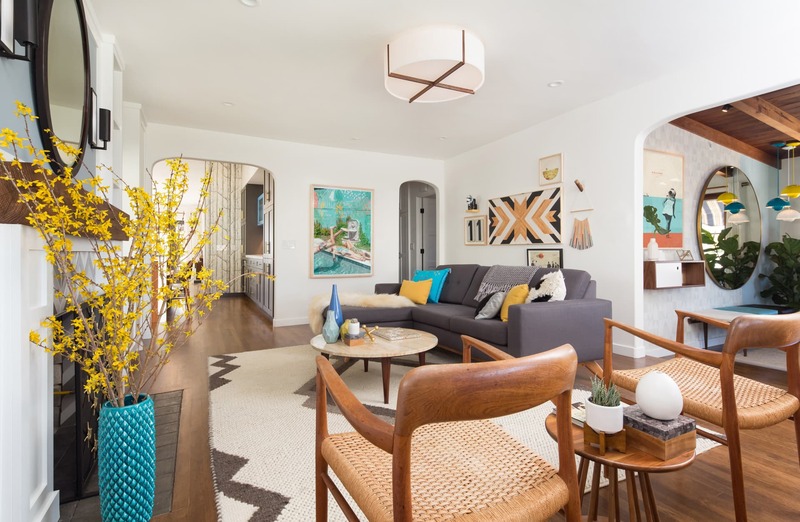 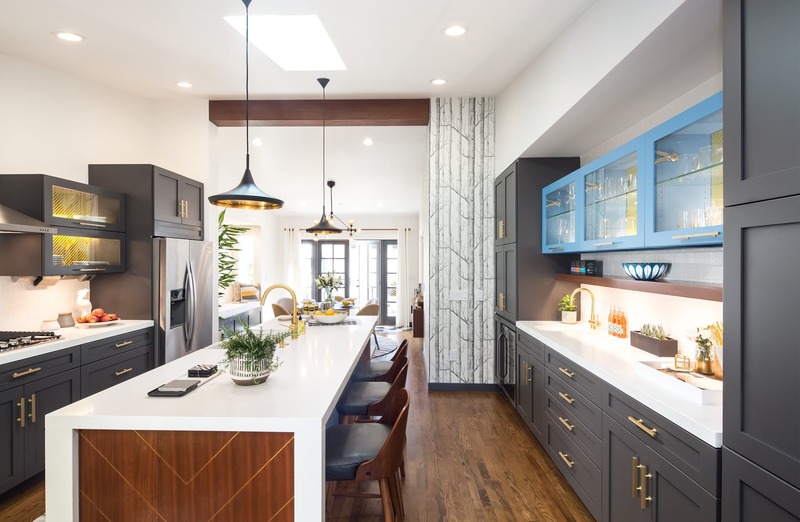 Created as a personal oasis for an alt-pop musician and his family, the historical home was expanded and reimagined as a rich blend of beach bohemian meets mid-century modern – while the original façade maintains the integrity of the neighborhood. 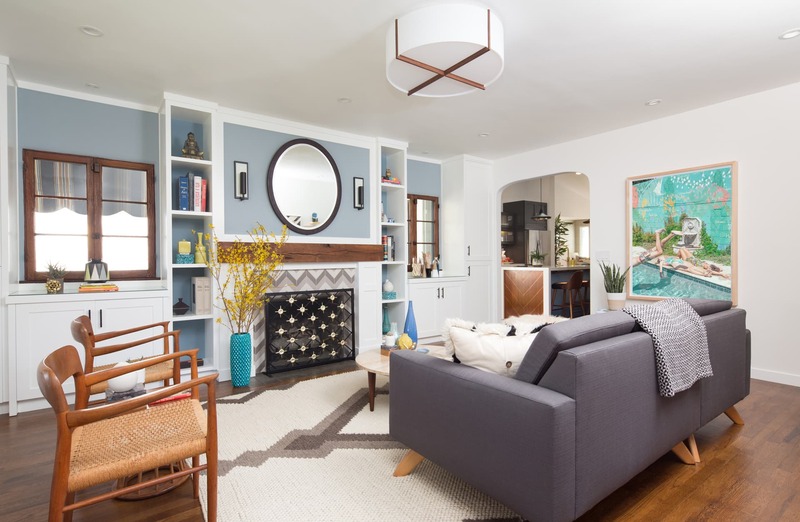 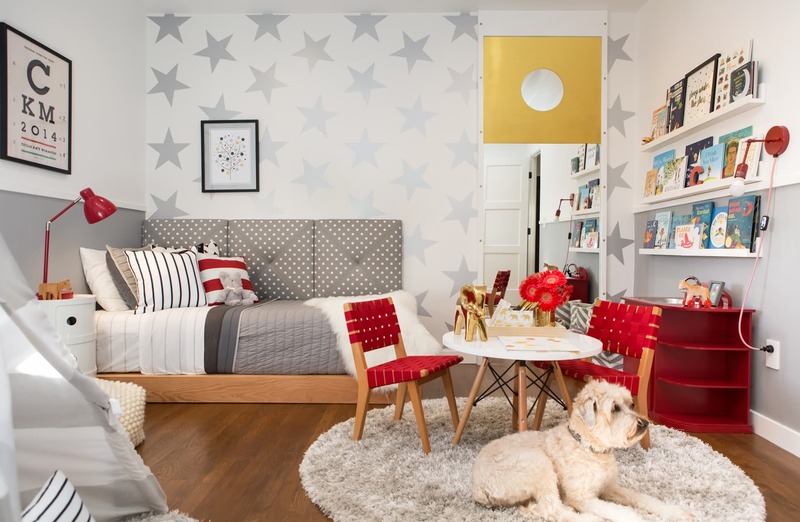 Capturing the clients’ adventurous spirit – the home is laid back, unconventional, cozy and inviting. 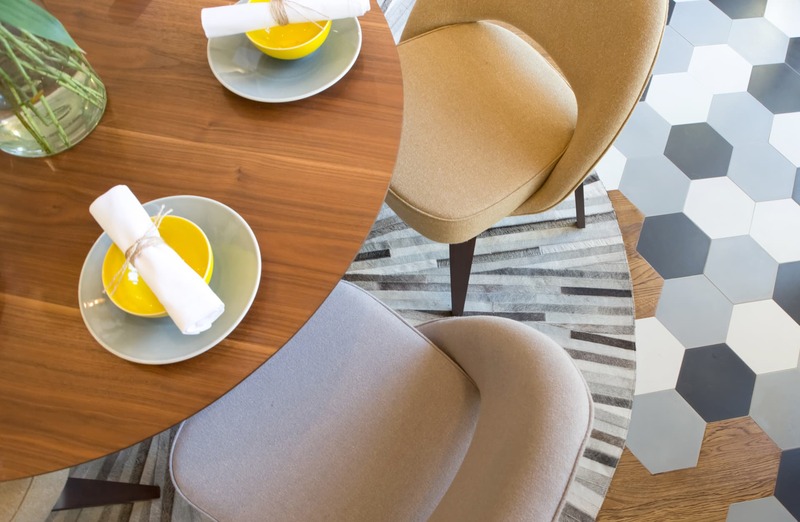 Natural materials mix with bold details to give a unique voice to the project. 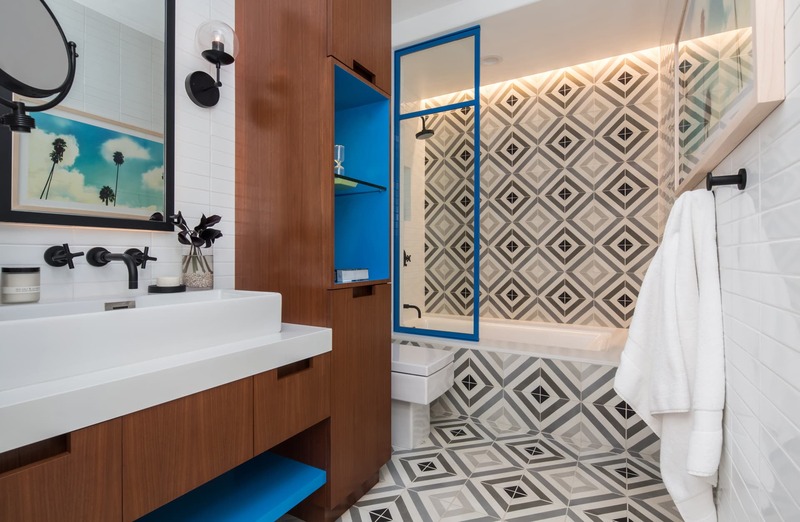 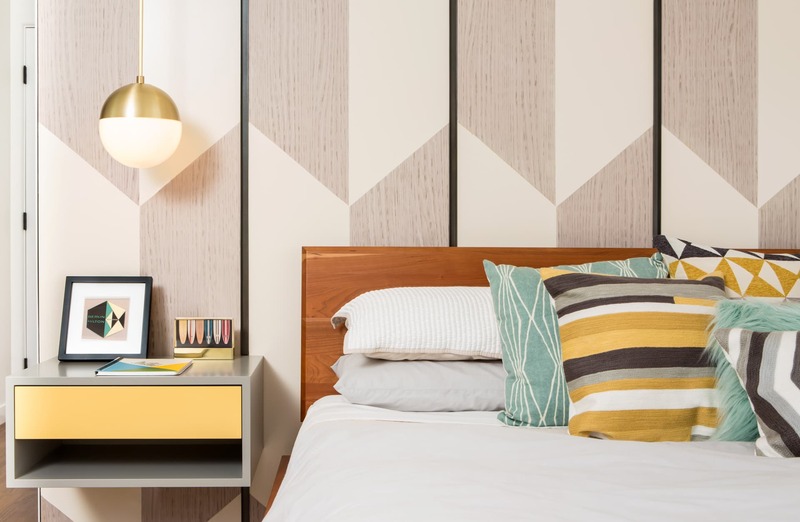 Each room makes a dynamic visual statement – from the unexpected screen printed mirror panels in the kitchens’ cabinets to the chevron patterned white oak and lacquered wood focal wall in the master bedroom. 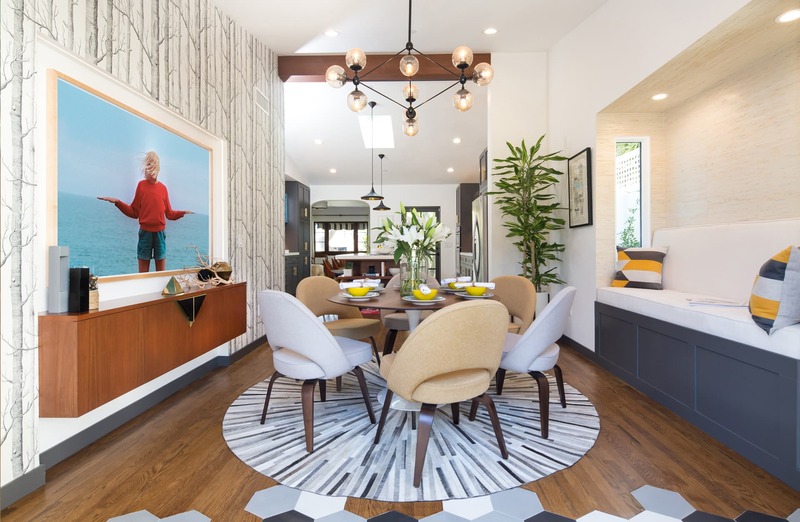 Strong geometric elements juxtaposed with textural rugs and sheepskin throws creates an inspirational classic California dwelling that is calm, cool and collected.